This beautiful Leaf shaped necklace pendant is made of 14k yellow gold for the body of the leaf and 14k white gold for the stem and spine of the leaf. 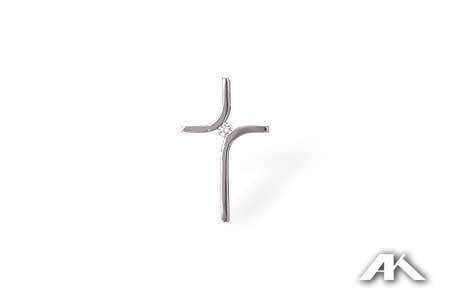 Accent diamonds are highlighted on the 14k white gold stem and spine of the leaf. 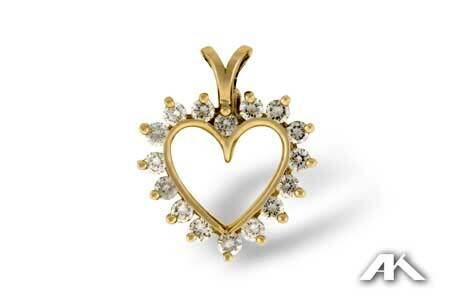 This pendant has a wonderful flowing multi faceted texture to it. 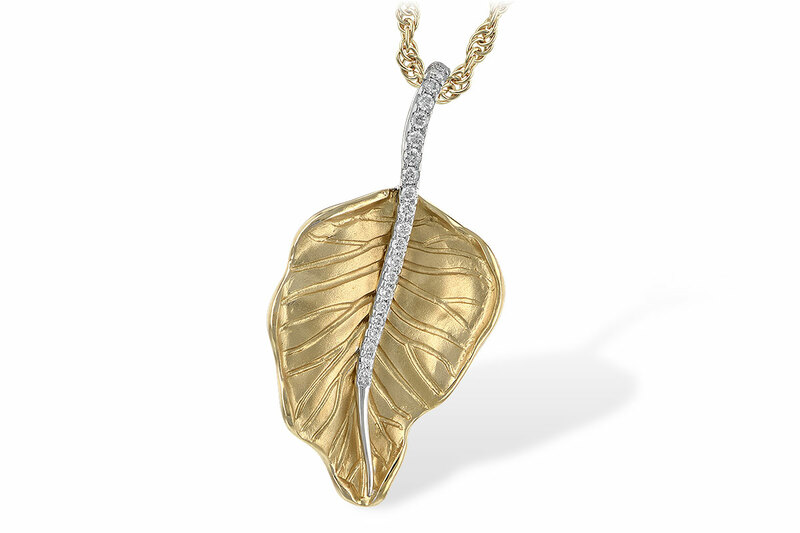 This necklace pendant includes a 14k yellow gold 18 inch rope chain. 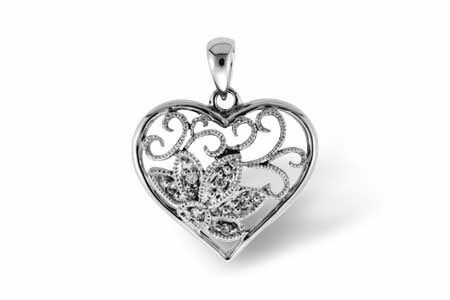 This necklace pendant also is available in 14k Rose and White Gold. A 14k yellow gold 18 inch rope chain is included in this price.